The soldering and filing station. Workshop is in a bright cheerful space. Cabochon emerald belt buckle with keeper in 22 karat gold. Get the feel of the ancient process and complete a simple to advanced project. Materials and supplies are available through the studio. Tools and equipment provided. Purchase 22 karat sheet and wire prepared at the studio. All parts are hand crafted from sheet, wire and granules. Some of the techniques learned will be alloying, annealing, fusing, soldering, rolling sheet, drawing wire and bezel setting. Only 22 karat yellow gold is used in all of the jewelry making. The gold is alloyed right here at the studio. Beginning with "fine" or pure gold (0.9999) it is then heated to its melting point of 1947.52°F. At this purity gold is 24 karat. Exact proportions of fine silver and copper are then added to the molten pure gold creating a 22 karat gold alloy suitable for making jewelry. Advanced student's finished work. Diamond and 22 karat gold band. The final ratio is twenty-two parts pure gold to two parts fine silver and copper. The alloy is cooled then remelted and shaped into either a disk or rod. From there the ingot is rolled into sheet with a rolling mill or pulled through a drawplate to make wire. 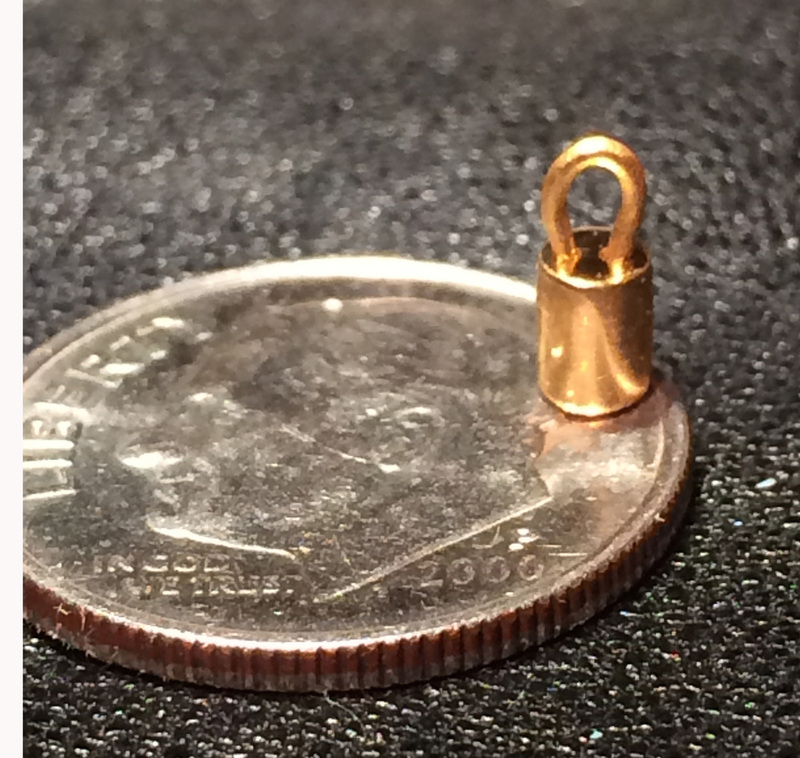 The gold is frequently annealed to re-establish malleability after it has been work-hardened. Facetted emerald and rose cut diamond band. 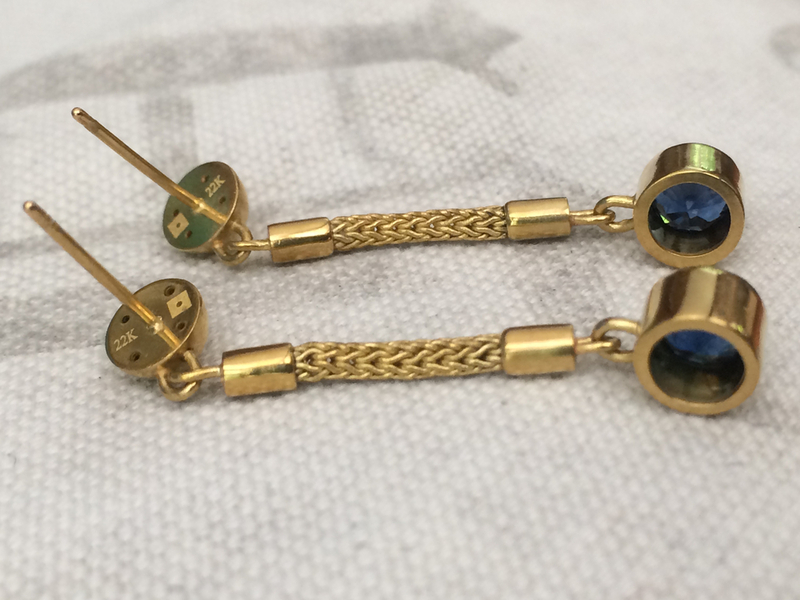 The tradition of using 22 karat yellow gold and the methods used at the studio to make jewelry are centuries old. The same classical goldsmithing methods employed were used to create the ancient gold jewelry found in museums and books. Ancient coin earrings in progress. This method of hand fabrication is unlike techniques used in mass produced jewelry and is rarely found in jewelry making because of the time it takes to produce and the high cost of labor associated with production. Make it yourself. The color, warmth and depth of the finished product is unique and beautiful. 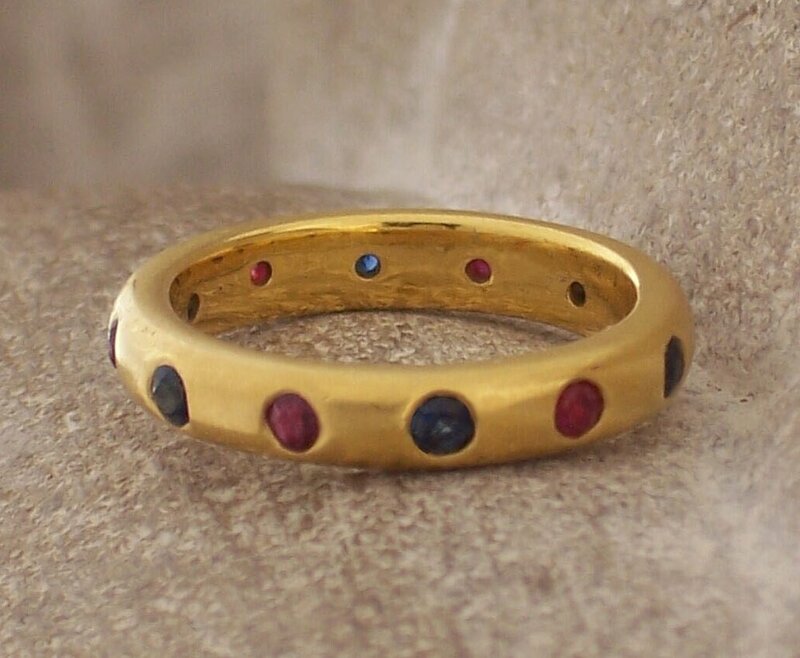 Sapphire and ruby band in 22 karat gold.